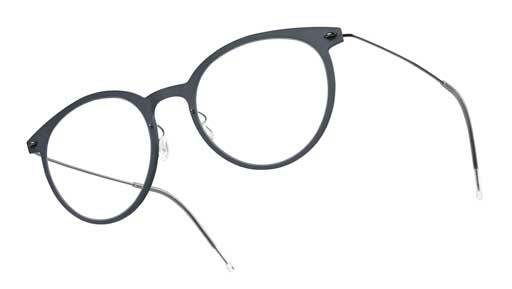 Weber Vision Care stocks many different frames from many different designers. We strive to carry the best in quality and latest designs by the best manufacturers. Check out the brands we like below and why you should too! LINDBERG glasses are known around the world for their minimalist design, and are considered to be the best rimless eyeglasses in the world. Luxurious and elegant, LINDBERG frames are remarkably lightweight at 1.9 grams, with a strong and flexible titanium frame and an innovative screw-less design. LINDBERG sunglasses are made with high-quality Zeiss lenses that provide extreme optical precision and optimum protection for your eyes. All frames are hand made in Denmark. As an authorized LINDBERG retailer, Weber Vision Care carries the entire line of this luxury Danish brand, including Acetanium, Air Titanium and Spirit Titanium for men and women. Make an appointment today to see Dr. Williams or Dr. Bloom or stop by and visit our amazing eyewear dispensary to check out this great line of eyewear and don’t forget to ask about complementary name engraving on your new LINDBERG frames! DERAPAGE owes its name to a French motor racing term describing how the driver tackles a corner at speed while maintaining control of the vehicle. These elements, speed and control, are the essence of DERAPAGE. DERAPAGE products are conceived, designed, produced, finished and checked in Italy. The designs are conceived in Turin and the frames are manufactured in various artisanal facilities in other Italian cities, including Milan and Venice. Weber Vision Care is an authorized DERAPAGE retailer, with a broad selection of DERAPAGE frames on display. Make an appointment today to see Dr. Williams or Dr. Bloom or stop by and visit our amazing eyewear dispensary to check out this great line of eyewear! Only four percent of sunglasses sold are manufactured in the United States. Weber Vision Care is pleased to carry a line of sunwear made in America. Founded in Massachusetts in 1972 as an optical machinery factory, RANDOLPH ENGINEERING began making sunglasses six years later at its facility in Randolph, MA. All RANDOLPH ENGINEERING glasses are made by skilled American workers, some of whom have been employed by Randolph for 25 years, who complete each step of the manufacturing process. A machine in the factory in Massachusetts begins the process by bending imported wire into eyeglass frames to fit individual lenses. It can make up to 2,000 frames a day. Weber Vision Care is an authorized RANDOLPH ENGINEERING retailer. We have a variety of RANDOLPH ENGINEERING frames on display. Make an appointment today to see Dr. Williams or Dr. Bloom or stop by and visit our amazing eyewear dispensary to check out this great line of eyewear! A new collection of 3D printed eyewear by MONOQOOL showcases the lightness and adjustability of this new style of minimal eyewear – “a pleasure to wear, day in day out”. Combining the new 3D technology and Danish minimalist design, MONOQOOL frames take 24 hours to print: each pair of glasses consists of more than 400 thin layers, transforming white polyamide powder into a super light and flexible frame. The frames undergo a complex coloring process and are hand polished for a refined finish. Weber Vision Care is an authorized MONOQOOL retailer. We have a variety of MONOQOOL frames on display. Make an appointment today to see Dr. Williams or Dr. Bloom or stop by and visit our amazing eyewear dispensary to check out this great line of eyewear! OGI EYEWEAR delivers style and substance through the use of premium materials and diligently placed details, resulting in eyewear that is unrivaled for its design and value. Through the purposeful use of color, in combination with fashion forward designs, OGI EYEWEAR is bold, yet wearable. The SERAPHIN line, on the other hand, epitomizes neoclassic luxury, as it’s rooted in the timeless shapes of a bygone era with a striking modern edge. Weber Vision Care is an authorized OGI EYEWEAR retailer. We have a big selection of of OGI EYEWEAR frames on display. Make an appointment today to see Dr. Williams or Dr. Bloom or stop by and visit our amazing eyewear dispensary to check out this great line of eyewear! The NW77th collection brings together all of the things that make life interesting, fun, fresh, and exciting. This chic line reflects the same values we’ve tried to instill here at Weber Vision Care—a combination of great service, sound advice, and interesting décor – very cool without pushing the limits “too too” much! NW77th combines that style with excellent quality, reasonable prices, and fast delivery. Plus, in 2016, NW77th began manufacturing frames in the US, at a factory in St. Louis, MO! Weber Vision Care is an authorized NW77th retailer. We have a big selection of of NW77th frames on display. Make an appointment today to see Dr. Williams or Dr. Bloom or stop by and visit our amazing eyewear dispensary to check out this great line of eyewear!